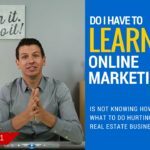 [VIDEO] Do I Have to Learn Online Marketing? 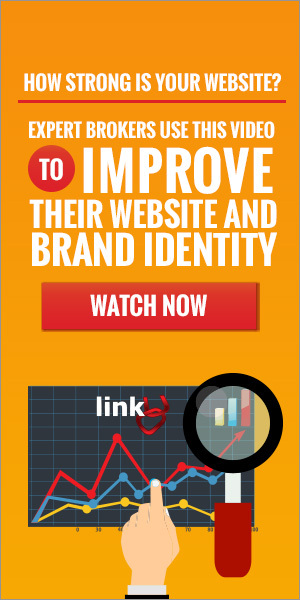 I'm excited to share with you the launch of our new blog and video series for LinkU TV, starting with this episode!!! I do hope that you will continue to watch and join us so that you can learn the things that we believe will be fundamental to your business going forward. Basically, what we have done is we have taken the most commons questions that we get from our clients and turned them into answers for you, so you could figure out, "How do I get more exposure and traffic online?" If you already have some sort of advertising or marketing or anything going, how do you take that to the next level? Lots of brokers are being incredibly overwhelmed by all of these different marketing techniques coming from every direction. Day after day, week after week, conference after conference, you are hearing things like "Oh man. That sounds great. I've got to do that." Then, you hear another thing you have to do and respond according. In the end, you don't end up really doing anything or you end up with a lot of half-done projects that never really got off the ground. The reality is nobody has time to do it all. Time is a finite resource and you’re probably already using a lot of it. While most of you guys are insanely busy, using what time you do have to improve your business is paramount. Should you choose to dedicate some of that time with LinkU.TV, you’re going to love it and gain quite a bit from it. The other thing that we also hear a lot about is the cost involved and how it affects your marketing budget, assuming you have one. If you don't have an advertising and marketing budget, well then you are going to have to step up and create one. I hope that you are able to because the benefits are worth the investment in the long run. For those of you who do have one, how much of it is geared toward online marketing and how much do you really know about what you’re doing there? Real estate and the world around it has been constantly evolving, the old ways are becoming less and less relevant. A lot of this stuff might be very new to you and your business. Entering a new era can be a tough transition. You can’t ignore this anymore and I think you know that already but you need to really understand that this stuff is becoming more essential by the day. Even just learning at the basic level could be a tremendous help. Eventually not only will you be able to do some of the fundamental stuff yourself but you will be able to grow with that knowledge and then eventually hire someone to do it for you or whatever for you. Don't be scared. "Oh, well I don't know technology and I'm computer-illiterate," is no longer an excuse. Where do you really start with this? Sure, it may seem overwhelming but there are some very clear answers. The first thing that you need to know is your outcome. What do you want to get from your online presence? My go to from the start is typically, "What do you expect to get?" The answer I usually get is, "I want more leads." Okay. That is great but what kind of leads? Do you want seller leads? Buyer leads? 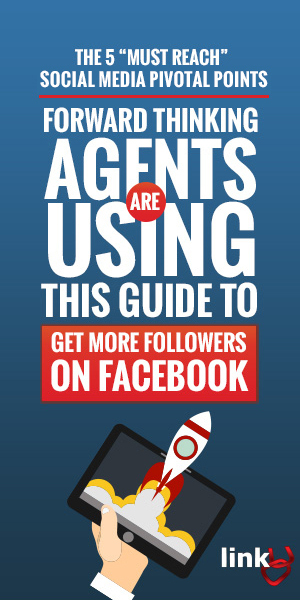 Are you trying to recruit agents and whatnot? Usually a lot of you will have an idea of what that is but then that's it and is that's all you are looking for are leads? If you don't get any leads, then it didn't work and it is worthless because let's be realistic, most of the leads that come in for you guys or in real estate, whether it be in the past or now aren't people like, "Hey, I'm ready to sell my house right now." I mean you get them but it is not constant. It is usually a timing thing. 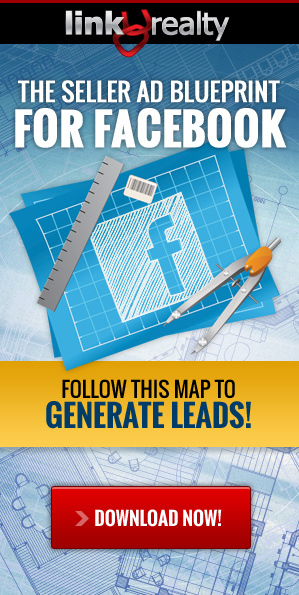 If you just wanted more leads, you have got to think about what are you going to do with them after that? What does your follow-up process look like? Could you have maybe an email campaign? Do you call them once, twice, whatever, and then that's it? You get busy. You go onto the next one. You really have to think about how are you going to kind of nurture these leads over time? This isn't the first time, I'm sure, you've heard that. There is a follow-up process you should have in place to do that. We are going to cover a lot of those things in these upcoming weeks. Here’s another important thing you’re going to have to take into account: What are you willing to pay per lead? What is a lead worth to you? What is that contact worth, whether it be an email address or a name and a phone number, or just their physical address? Any of these things. Is there something you could do with that information to try and bring them or send them to the next step in essentially selling or listing their home or buying a home through you? Let's face it, when it comes to your marketing budget, you can't just do a branding campaign. You have to have something very kind of specific. Determining that specific goal is absolutely essential. The next thing you need to do is just kind of get knowledge in the area. If you, again, are one of those who are tech illiterate you may not even know what the heck we’re talking about. BUT, the prevailing mindset should not be fear but rather, "I have to learn this stuff." I urge you that you do have to because there's so much misconception out there. 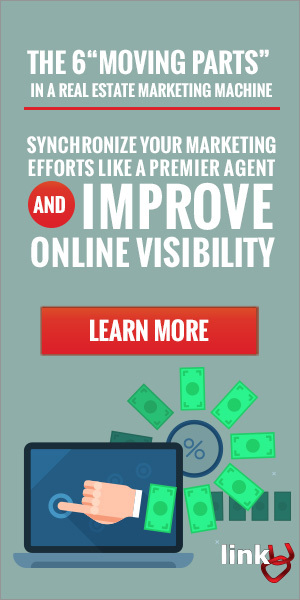 A lot of agents and brokers just don't have a clear understanding or a path on how online marketing really works. Again, maybe that is you. Maybe you are one of those people who have heard things but you are almost kind of purposely avoiding learning that. Some of you are trying to dig in and trying to learn but you are still just getting overwhelmed by everything there is to do but at the same time, maybe excited about what there is for you to do. In the upcoming weeks, we are going to really help you to discover what it really takes to be successful online and what campaigns that you may have tried that didn't work? 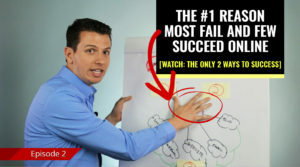 Like maybe PPC, or pay-per-click, AdWords, search engine optimization, Facebook ads, or anything else, and how to turn those around to actually work for you because a lot of people just jumping in tend to try and fail. If you failed, that is completely normal, believe it or not. 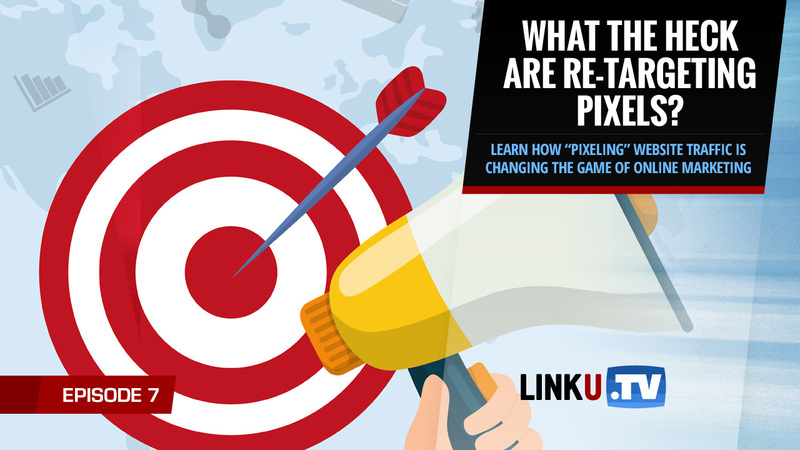 If it is working for you, how can you make that 10 times better for you using maybe re-targeting strategies or email follow-up strategies and so many other things? Next week, what I want to do actually is cover the most important concept when it comes to marketing online. This is something that I actually think a lot of people miss and it is so simple but a lot of people miss it. If you just understand this one core strategy, then you are going to be further ahead than a lot of others when it comes to just thinking about and how you think about your online marketing strategy. Anyway, again, don't be intimidated by this stuff. If you are the person who is just like, "I don't want to know. I just want it to be done," please, you have to think about how important this is for your business to move it forward and it is not going to be some college kids, some marketing intern or anything like that that is going to come in and save you. Trust me. I have seen that too many times. "I don't need to do this. I need to do real estate. That is my business." At some point, you had to figure out how to use your MLS software and at some point, you had to figure out how to create a flyer and how to do an open house and all of those traditional marketing methods, right? Then, maybe at some point, you did outsource it or have someone do it, an assistant or whatever. The thing is you understood how it needed to be done and how it worked and what worked and you were able to do the basics when it came to that. Don't fall behind in technology because it is only going to get harder and further away. Right now, it is pretty easy, where you can jump in, take the time and learn it. I'm not saying you have to become and expert or anything like that but just learn it so you can have a deeper understanding of it. That is for my technically-challenged people who just feel like they are scared of this. For those of you who are totally into it an can't wait to dive in, awesome. I can't wait to have you aboard and I hope you join us each and every week to learn everything there is. In addition to filling in the gaps because I know there is so much information out there that you get from a lot of different sources probably, but there's always these gaps. There's gaps in the information of how to actually execute and hopefully we can close some of those gaps and bring you some actual content that is going to help you to take action. Start thinking about what is the outcome that you are trying to accomplish with your online marketing. You must take the time and start learning about what you can, before it's too late. It's not an option, if you want to keep up with the rest of the world. Well, that's pretty much it. Next week, I'll go over the most critical concept you must understand when it comes to generating leads online. If you're one who has little to no leads, then this should point you in the right direction. If you want more leads.. it will help you with that too! I can't wait to share it with you... stay tuned!